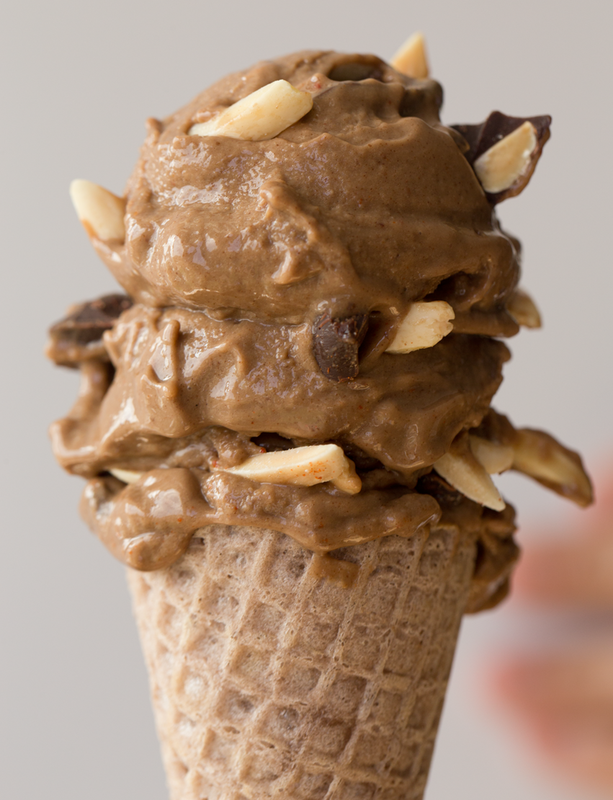 Yummiest Vegan Mocha Almond Fudge Ice Cream. No Sugar Added! With Avocados! Today I used an ice cream maker for the first time ever. And I think I'm in love. 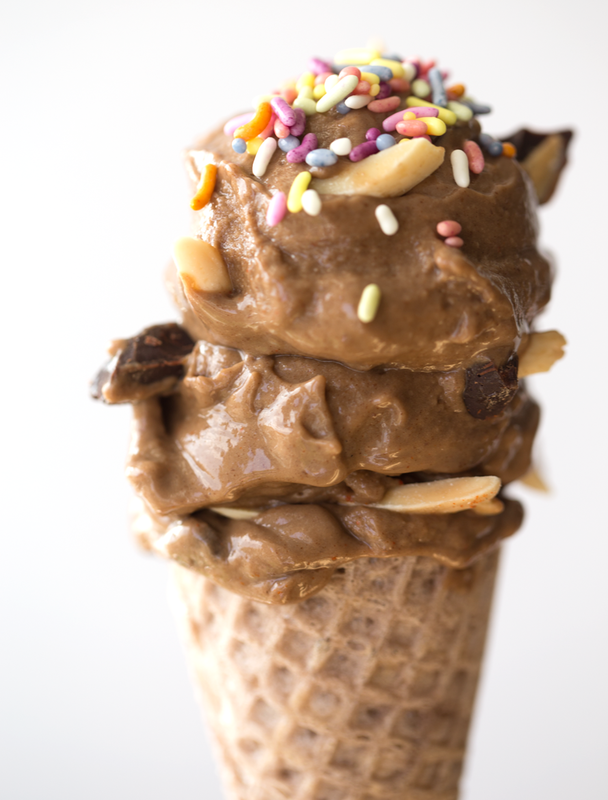 Here is the recipe creation.. My Vegan Mocha Almond Fudge Ice Cream. It has no sugar added and uses a simple base of soy milk and avocados. 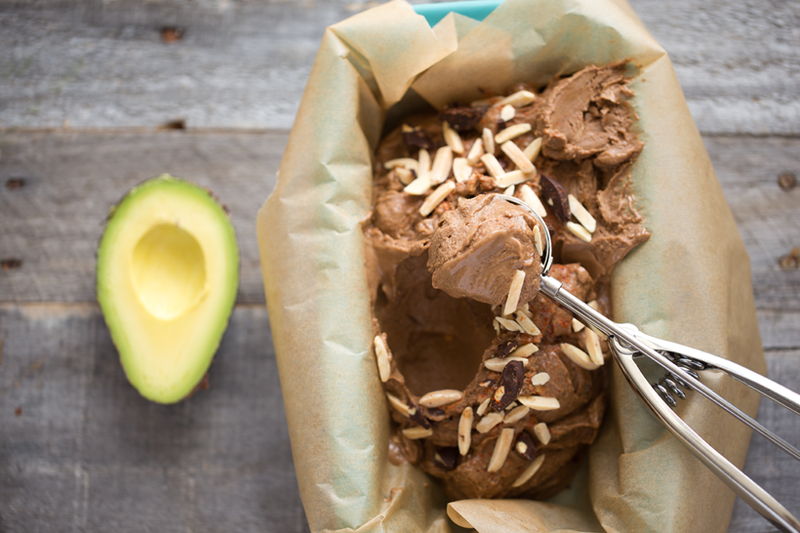 Yup, avocado ice cream! Skeptic? One taste and you will be swooning, promise. 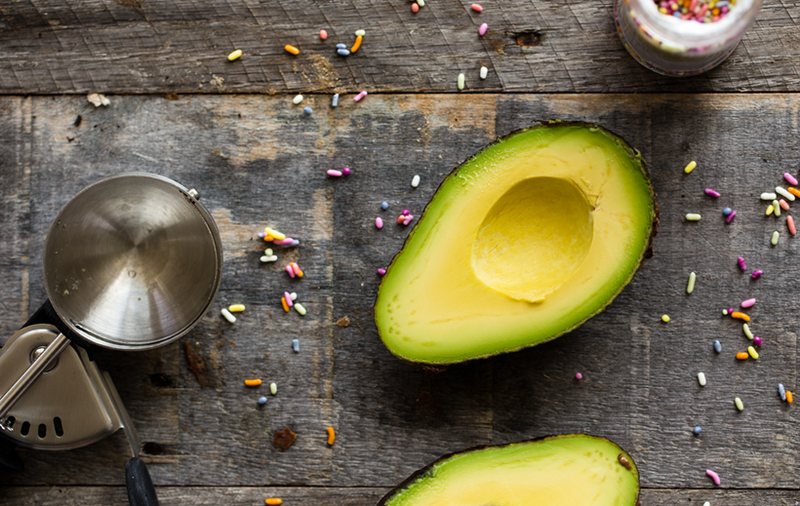 Did you know that you can make amazing ice cream with avocados?? I suggest flavors like.. chocolate, mint and vanilla. Avocado Heaven. I received a BIG box of dreamy California Avocados last week and an ice cream maker. Like, really, this is the PERK side of being a food blogger. Ok, avocado ice cream? Let's try this. 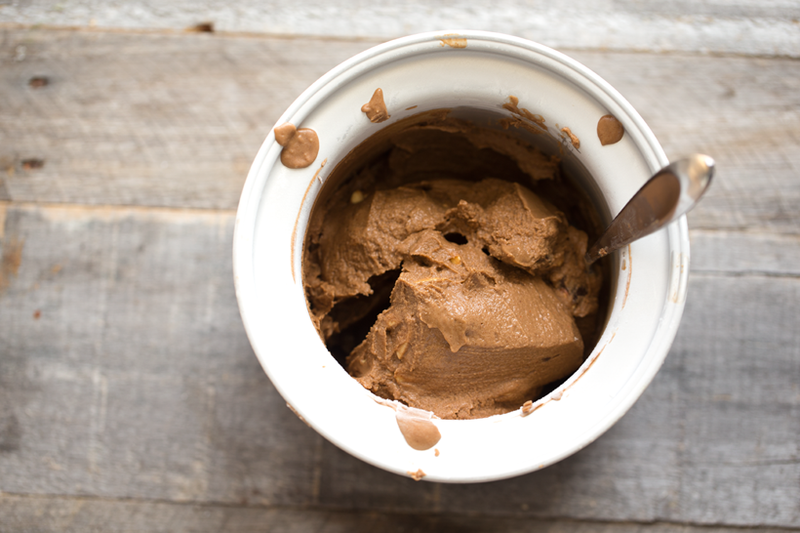 Healthy fats from those buttery 'cados, healthy sweetness from potassium and fiber-rich Medjool dates and antioxidant-rich cocoa powder. So I cannot wait to try more ice cream flavors. Any requests? Love this creamy chocolate dessert. Hope you love it too! Ice Cream Maker or Not? This ice cream does need to be made in a churning ice cream maker. HOWEVER if you blend everything without using the ice cream maker it actually turns into an AMAZING chocolate avocado pudding. 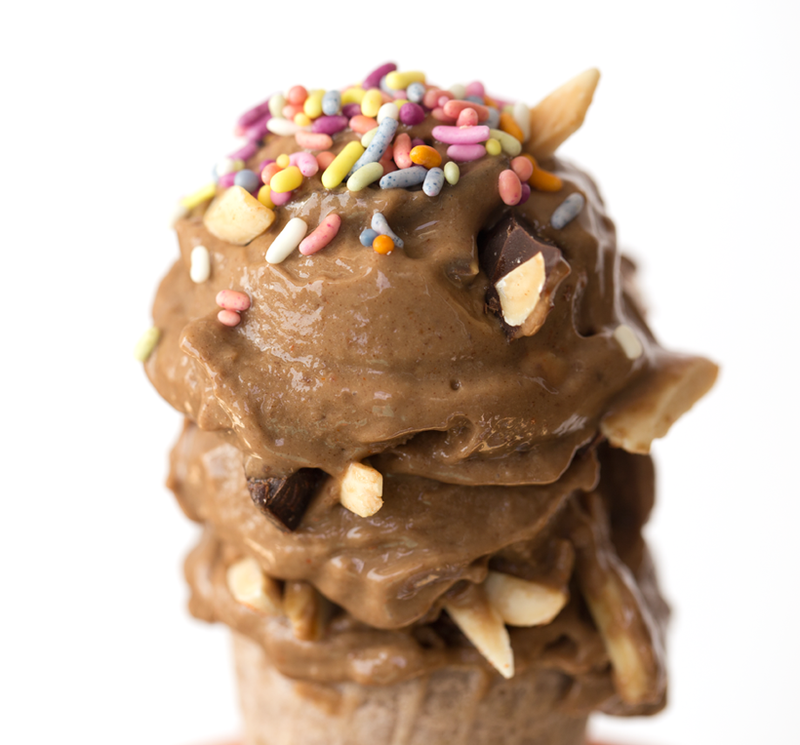 So either way, you can try this recipe -- ice cream maker or not. 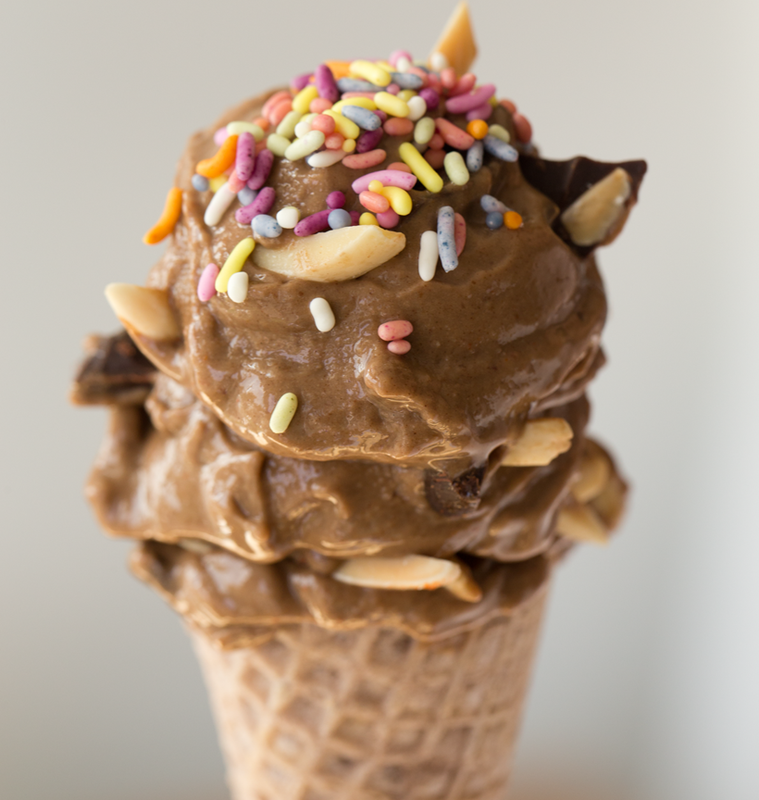 And because I want to spread the ice cream maker love... GIVEAWAY!.. ...ps. Watch for a HUGE summer fitness giveaway later this week. Prizes... Vitamix. Fitbit. Yummy Medjool Dates. Fitness wear. Protein powders. And MORE! 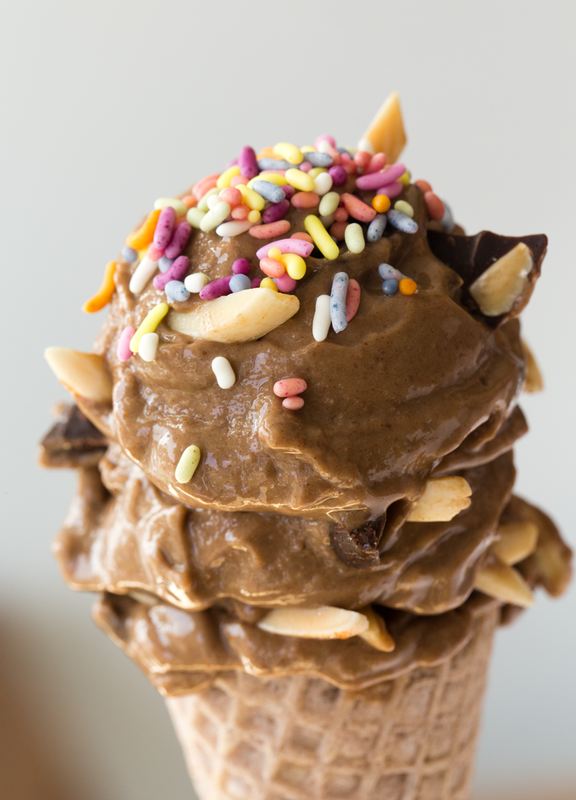 This super rich and creamy, date sweetened, avocado based, dairy free ice cream is speckled with almonds and optional dark chocolate chunks. Lightly spiced with cinnamon and cayenne. Vegan and only whole food ingredients! Dive in. Add the dates, soy milk, avocados and espresso to a high speed blender like a Vitamix. Blend until smooth and thick. Add in the cocoa powder and spices and salt. Keep blending until combined. You may need to to scrape down the sides a few times during blending because the mixture gets so thick and creamy. Pour blended mixture into your chilled ice cream maker container. Insert paddle and start machine. Add in the almonds and chocolate chunks. Process for 15-20 minutes or until the mixture is thick enough to scoop -- even if it is a bit soft. Transfer to a loaf pan. Then place in freezer to firm up for a few minutes before scooping. (tip: use a chilled-ahead-of-time metal loaf pan lined with parchment paper!) Store leftovers in a sealed container in the freezer. 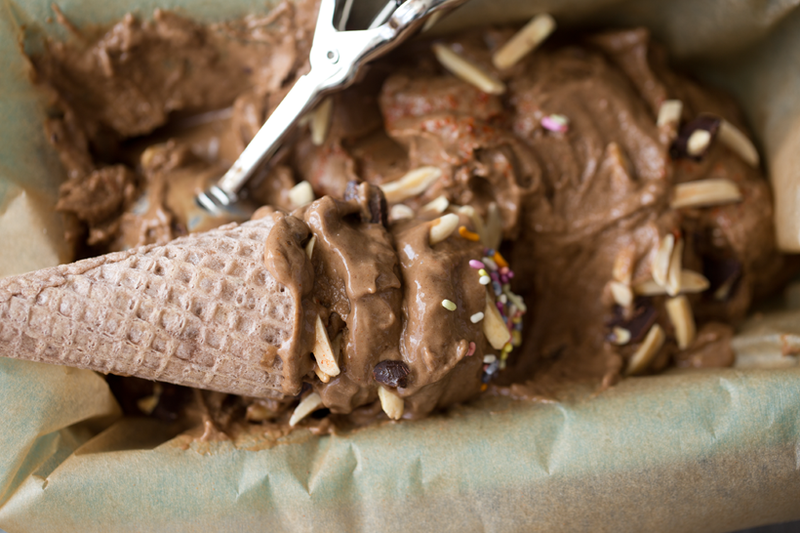 Allow fully frozen ice cream to thaw for 5-10 minutes before scooping, for best texture. Optional: If adding the fudgy ribbon, add it over top the ice cream just before placing it in the freezer and swirl it into the mixture be hand. disclosure: This post was sponsored by California Avocados, thank you to them and all the brands I work with for making my blog possible! 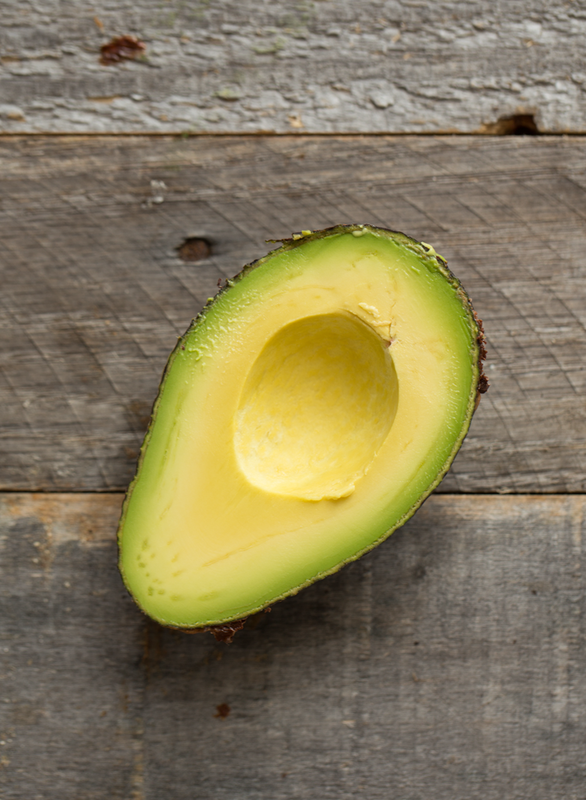 Check out the CA Avocado website for recipes, how-to's and fun avocado facts!